Beer is Cheaper Mini Metal Sign by Heaven Sends. 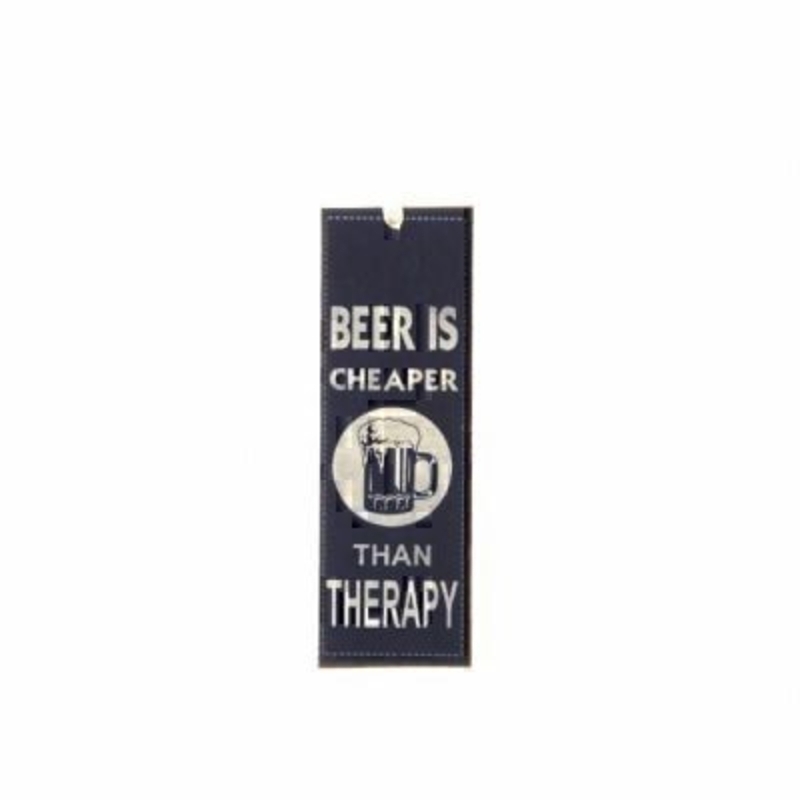 Mini tin sign - could also be used as a bookmark with the caption 'Beer is Cheaper than Therapy'. Size 15x5cm.